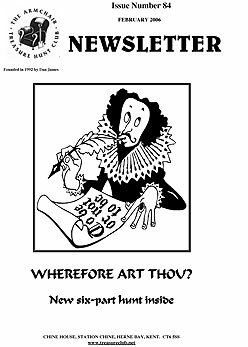 Cover Photo: Wherefore Art Thou? A new six-part hunt begins in this issue. 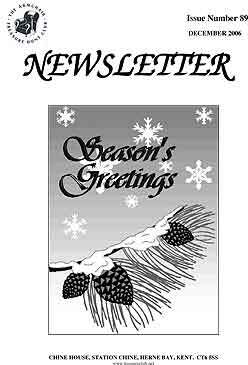 Cover Photo: LAUNCHED in September 1992... 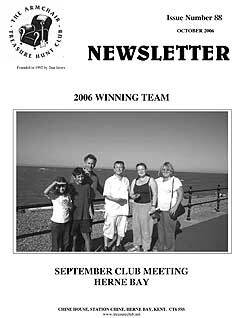 SOLVED in March 2006. 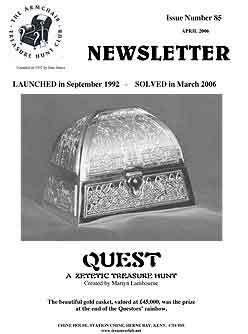 Quest - A Zetetic Treasure Hunt Created by Martyn Lambourne. The beautiful gold casket, valued at £45,000, was the prize at the end of the Questors’ rainbow. 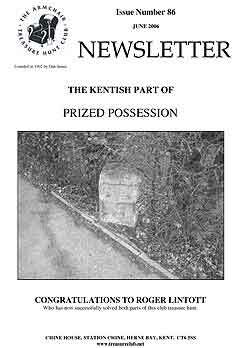 Cover Photo: The Kentish part of Prized Possession - Congratulations to Roger Lintott who has now successfully solved both parts of this club treasure hunt. 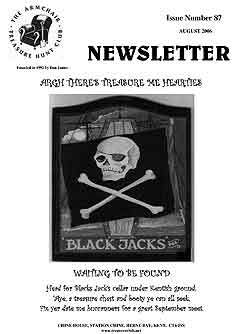 Cover Photo: Argh There’s Treasure me Hearties, Waiting to be Found: Head for Blacks Jack’s cellar under Kentish ground, "Aye, a treasure chest and booty ye can all seek, Fix yer date me buccanners for a great September meet." Wherefore art thou? Part 6 - the final part.